Gingerbread originates from ancient Greeks and Egyptians who used as a ceremonial offering. 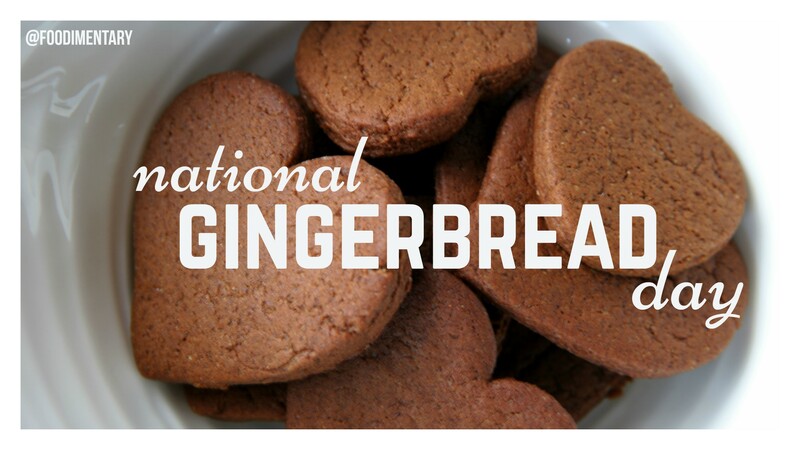 The term gingerbread is from the Latin term zingiber via old French gingebras, meaning preserved ginger. In Nuremberg, Ulm and Pulsnitz in Germany, Torun in Poland, Tula in Russia, the making of gingerbread is considered a Fine Art . After the Brothers Grimm’s “Hansel and Gretel” story published, the gingerbread house making became popular throughout Europe. In 992, gingerbread was first brought to Europe by am Armenian monk named Gregory of Nicopolis. 1519 Andrea Cesalpino was born. An Italian philosopher and pioneering botanist. He concentrated his studies on fruits and seeds, and he classified them by logical principles, instead of supposed medical properties. 1882 Henry Seely of New York City received the first American patent for an electric iron. 1899 James Ricks patented a rubber overshoe for horses. 1907 Persil, the first household detergent, was marketed by Henkel et Cie of Dusseldorf. 1932 The Revenue Act creates the first gasoline tax in the U.S. (1 cent per gallon). 1933 The first drive-in theater was opened in Camden, New Jersey by Richard Hollingshead. It had nine rows of parking on ten acres, with room for at least 400 cars. Where’s the popcorn! 1944 Edgar Froese of the music group ‘Tangerine Dream’ was born. 1988 Three 50 pound snapping turtles were found in a Bronx, New York sewage treatment plant. They had probably been pets that were flushed down the toilet when very small.